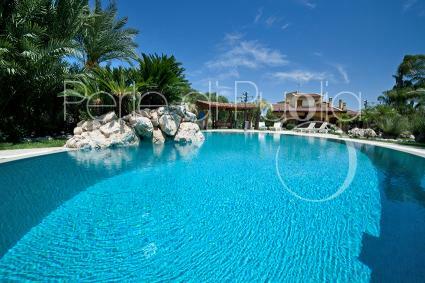 Villa Pignatelli: Villa with swimming pool and garden in Lequile a few kilometers away from Lecce. This structure has two levels and consists of entrance hall, living room, dining room with kitchen, five bedrooms and four bathrooms, ideal solution for 12 guests. 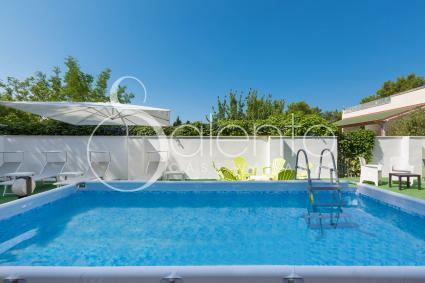 Villa with pool is immersed in a very well-kept Mediterranean garden and consists of two units: the main house and the dependence in total comprise four bedrooms, living room, dining room, two kitchens and four bathrooms. It can comfortably accommodate up to ten guests.